Aspire's starter kit is by far the best quality vaping kit for anyone who wants something with great performance and reliablility. 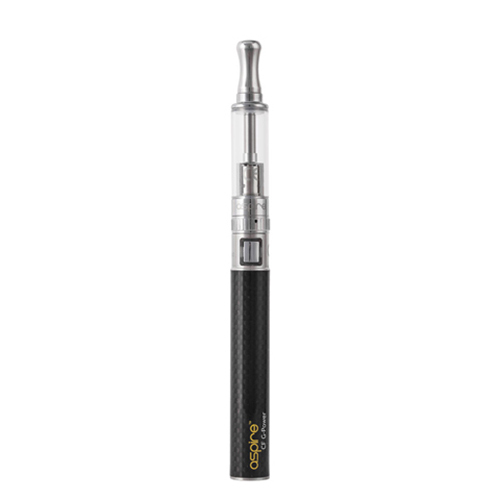 This vape kit comes with the Aspire K1 glassomizer that you fill from the bottom, meaning no leakages and is extremely easy to fill. The level of liquid is very clear to see due to the clear pyrex glass tank, and very easy to clean. Aspire have also included the Aspire CF-G power 900mah battery, these batteries are very high quality and come with a 5 click On/Off feature by pressing the large power button 5 to turn the device on or off, this also indicates the battery charge level using various coloured led lights around the button.